A powerful guitar with impressive tonal breadth and dynamic range, and the added power of Taylor ES2 electronics. Though they've been a staple of the Taylor line for years, Taylor's ovangkol 400 Series guitars continue to be discovered and embraced by players, thanks in part to a compelling full-range tone profile that's comparable to rosewood. Ovangkol's natural tonal breadth and dynamic range fit many different playing applications and body styles. An all-gloss body adds a burnished complexion that ties ovangkol's toasted golden color tones together with the buttery Sitka Spruce top. All 400 Series instruments ship in a deluxe hard shell case made by Taylor for optimal fit and protection. A guitar's top is the primary filter and distributor of vibrating string energy through the guitar, which means it has a huge impact on its sound. Sitka Spruce is the most prevalent guitar top wood of the modern era. It blends stiffness and elasticity in just the right proportions which translates into broad dynamic range with crisp articulation. Solid ovangkol back and sides complement the top with a sound that's comparable to rosewood. Ovangkol is an African relative of rosewood that shares a wide tonal spectrum from lows to highs, but with a slightly fuller midrange and a bright treble that resembles koa. Taylor's ES2 is a revolutionary pickup design that delivers the latest in Taylor’s ongoing innovation in acoustic guitar amplification. The heart of the Expression System 2 is Taylor’s patented behind-the-saddle pickup, which features three uniquely positioned and individually calibrated pickup sensors. The location of the sensors enables a more dynamic range of acoustic sound to be captured than ever before. Together with Taylor’s custom-designed “professional audio”-grade preamp, this system produces exceptional amplified tone and responsiveness. On stage through a PA, plugged into your favorite acoustic amplifier, or direct into recording software, the Expression System 2 faithfully conveys the voice of your Taylor guitar. The Taylor Expression System 2 operates through a proprietary 9-volt battery compartment and easy-to-use volume, bass and treble controls. 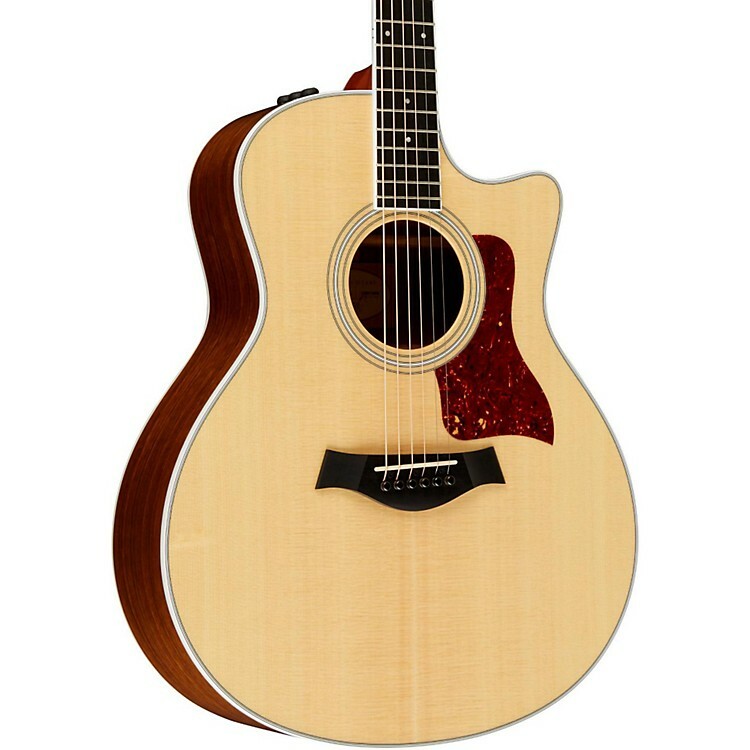 Order this high-quality Taylor hybrid today!